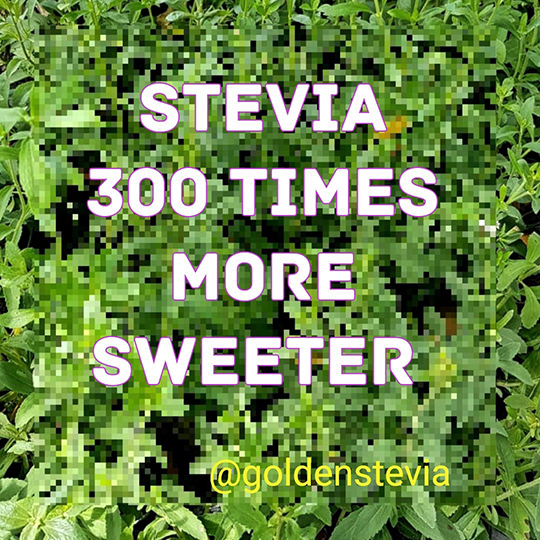 Stevia is a green sweet herbal plant native to South America, in general, do not exceed 80 centimeters in height. It belongs to the family of sunflowers and its leaves are naturally sweet. In fact, the indigenous people used to chew them for their sweet taste and used them to sweeten the drinks naturally. Its scientific name is Stevia Rebaudiana and as we have pointed out before, it’s rapidly becoming a fundamental food in our days. The plant that is South American and Central American origin, has already invaded a large part of the grocery stores of the entire planet among some large cultivation areas around the world. Let’s review a bit of history about Stevia: For several years people known as ”Guaranies” in Paraguay and Brazil used ‘ka’a he’ẽ’ as a natural sweetener, however, it was not until a Swiss naturalist Moisés Bertoni first to describe it scientifically in Alto Paraná. Subsequently, the Paraguayan chemist Ovidio Rebaudi discovered in 1900 a glycoside in this plant species, hence its name: Re- baudiana Bertoni. In that year he published the first chemical analysis of the plant. this sweetening glycoside was capable of sweetening 200 times more than refined sugar, but without the counter- productive effects that common sugar produces in the human body. After some years, Bertoni’s daughter and her husband Juan B. Aranda successfully started the domestication of the plant cultivation around 1964, the botanist Tetsuya Sumida introduced it four years later in Japan, which is today one of the main markets of the product. In Paraguay, large-scale cultivation began in the 1970’s, and since then has been introduced in France, Spain, Argentina, Colombia, Bolivia, Peru, Korea. Stevia is a 100% natural product, has zero calories and a large number of health benefits that have been scientifically confirmed. 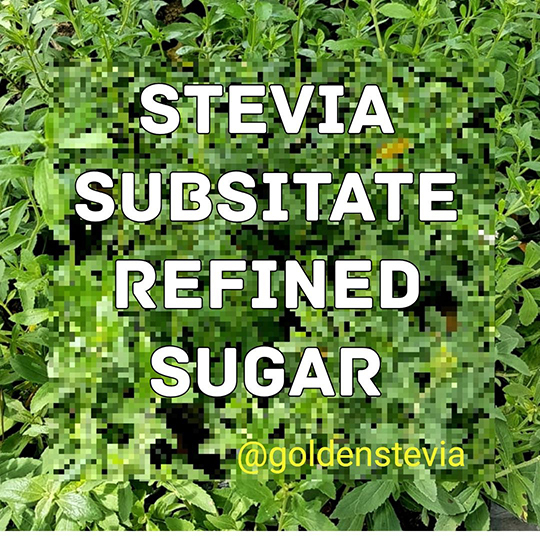 There are multiple differences that make stevia a perfect substitute for refined sugar. 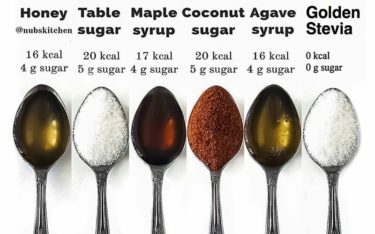 So, if you have diabetes or just want to start living a healthier lifestyle, read on and learn about the properties of this magnificent natural sweetener. In addition to all the calories it contains, sugar is addictive and encourages the desire to consume sugary products. There are artificial sweeteners, such as sucralose or aspartame, which barely have calories or GI (Glycemic Index), but still have the same disadvantage as sugar: they stimulate the desire for sweetness. Also, negative side effects associated with the consumption of artificial sweeteners have been observed: headaches, dizziness, stomach pains and even rashes. 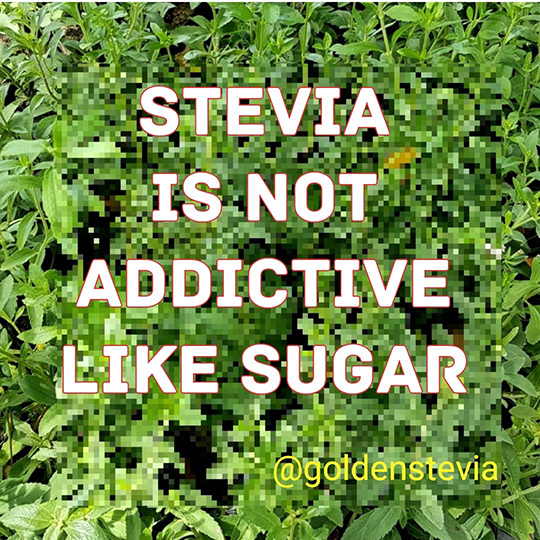 Morover, it has been shown that stevia is not addictive and also eliminates cravings. The leaves of the stevia plant are about 40 times sweeter than sugar and the sweetener powder that is extracted from them up to 200-300 times sweeter. In addition, the so-called “sweet leaf” can be preserved with- out losing its properties for a period of approximately 5 years. Stevia is an ingredient that is responsible for strengthening the immune system, which is recommended to those suffering from hypertension by reducing blood pressure derived from its consumption and which is suitable for weight loss. 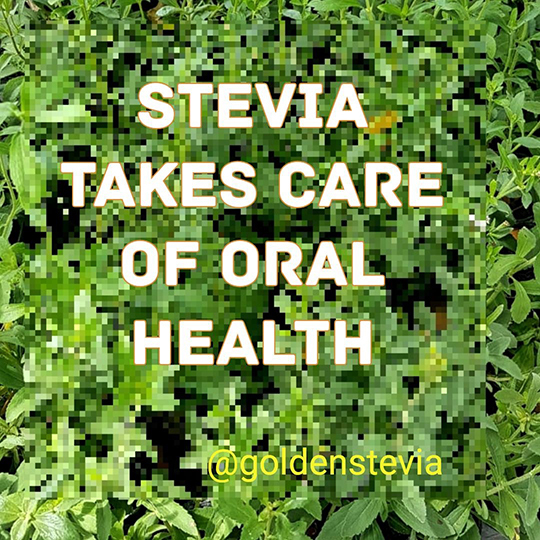 In the same way, stevia help with your digestion process, since it also cooperates with the digestive system, is diuretic and antioxidant, and it has a powerful healing and bactericide widely used in toothpastes in order to eliminate bacterial plaque. 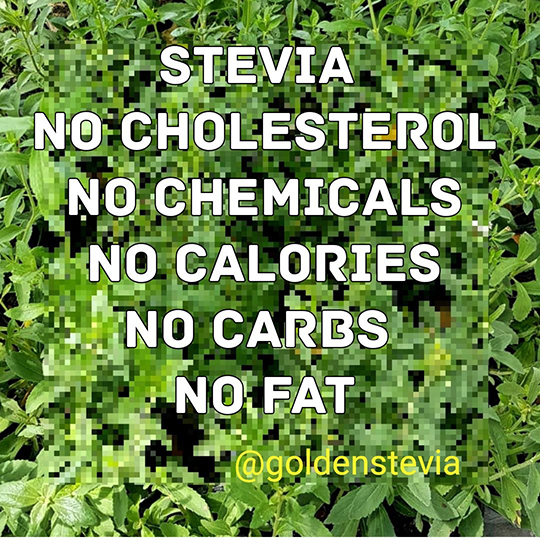 Stevia doesn’t make you fat. 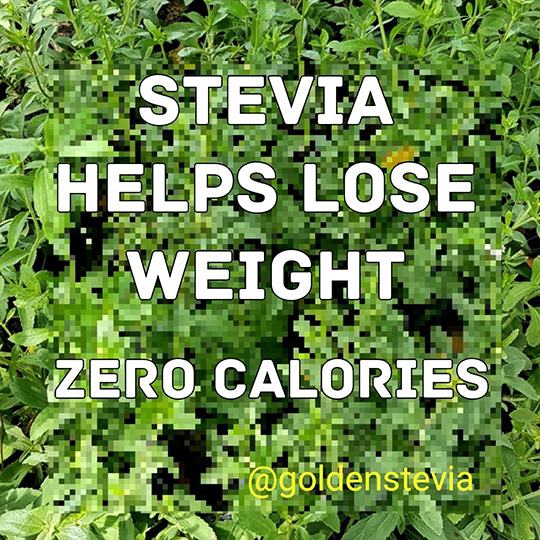 This is a fact scientifically proven in studies and research with animals: stevia consumption supposes a feeling of satiety for those who ingest it and its caloric contribution to the organism is not minimal, but it is non-existent. 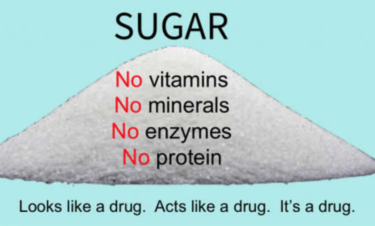 The harmful effects of refined sugar in our body are obvious and undeniable. Due to its high caloric content, sugar makes you fat. In addition, it is practically impossible to avoid its consumption be cause today there is a large amount of sugary products. In contrast, stevia does not contain any calories at all. You read well, zero calories. Steviol glycosides have zero calories. Stevia-based tabletop sweetness can have zero or minimal calories per serving, depending upon the other food ingredients with which they are combined. These factors could have a positive effect on those looking to control weight or manage diabetes. Steviol glycosides are poorly absorbed in the body and pass through the upper gastrointestinal tract fully intact. Once steviol glycosides reach the colon, gut bacteria convert sterol glycosides into steviol. Steviol is then metabolized by the lier before being excreted in the urine. Research has shown that there is no accumulation of stevia in the body during metabolism. It’s because of this poor absorption in the digestive tract that stevia has zero calories and does not raise blood glucose or insulin levels when digested. It is a result of this essentially poor absorption in the digestive tract which ultimately contributes to the fact that stevia has zero calories and does not raise blood glucose or insulin levels when digested. Stevia helps your digestion process, since it also cooperates with the digestive system, is diuretic and antioxidant, and it has a powerful healing and bactericide widely used in toothpaste in order to eliminate bacterial plaque. For generations, the native tribes of South America have been using stevia as a method to reduce blood pressure in people suffering from hypertension. 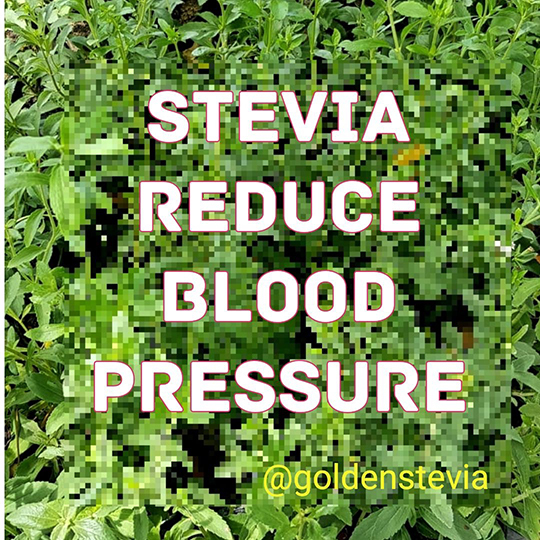 For all these reasons, stevia tea can be considered a natural remedy against high blood pressure for you to take into account, as long as you have consulted with your doctor previously. However, several exhaustive tests have revealed that stevia does not reduce blood pressure in healthy individuals. Certain glycosides in stevia extract have been found to date blood vessels, increase sodium excretion, and urine output. In higher doses, stevia could potentially help lower blood pressure. 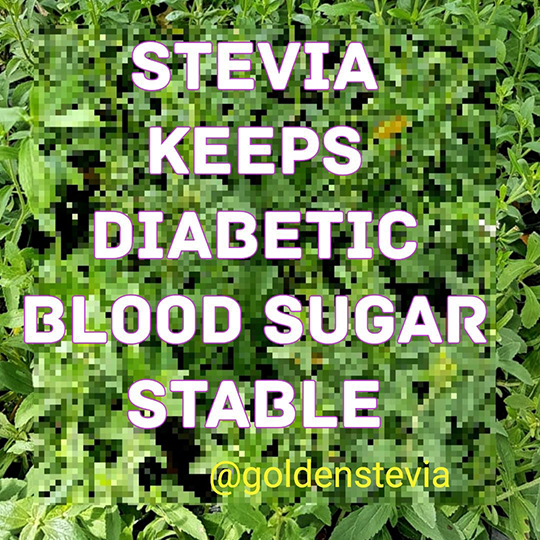 Stevia Against Diabetes. 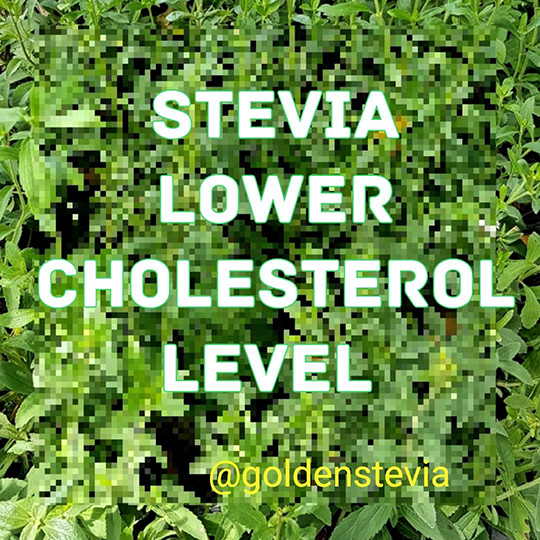 Stevia Has A Glycemic Index Of 0. The glycemic index (GI) measures the amount and speed with which a food is able to increase an individual’s blood sugar. So taking into consideration that stevia can sweeten up to 200 times more than sugar itself, which is artificial, addictive and harmful to health, but also does not get fat because it is hypocaloric, The plant stimulates the production of insulin and provides the balance needed regarding this element, it’s clear that we are talking about food and ideal complement for diabetics. Stevia is an ingredient responsible for strengthening the immune system, which is recommended to those suffering from hypertension by reducing blood pressure derived from its consumption and which is suitable for weight loss. 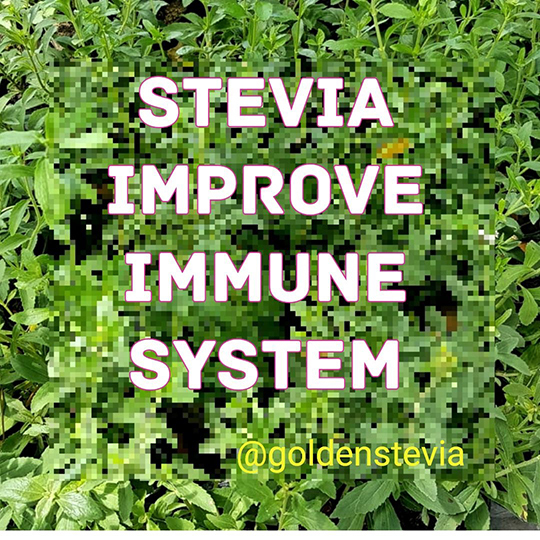 Stevia has power to dissolve dioxin, nicotine and histamine make it a powerful antiallergic that,helps to strengthen the immune system and defenses, improves resistance to colds and colds and is healing and bactericidal in applications against burns, wounds. 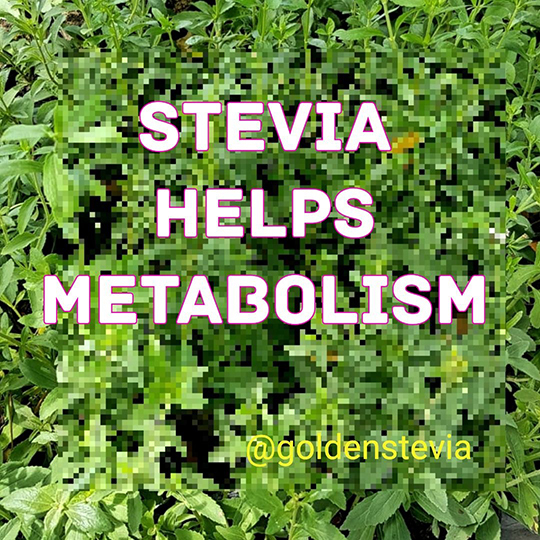 Stevia plant has many sterols and antioxidant compounds including kaempferol quercetin, chlorogenic acid, caffein acid, isoquercitrin, and isosteviol. Studies have found that kaempferol can reduce the risk of pancreatic cancer by 32 percent. Candidiasis is an infection caused by a type of natural yeast present in the intestines of all humans. This yeast is called candida albicans and when it grows in excess causes candidiasis, whose symptoms are nausea, diarrhea and vomiting. Studies show that consumption of stevia leads to a significant reduction in bad cholesterol, triglyceride, and LDL levels. And, increased levels of HDL, which is healthy cholesterol and is essential for good lipid profile. 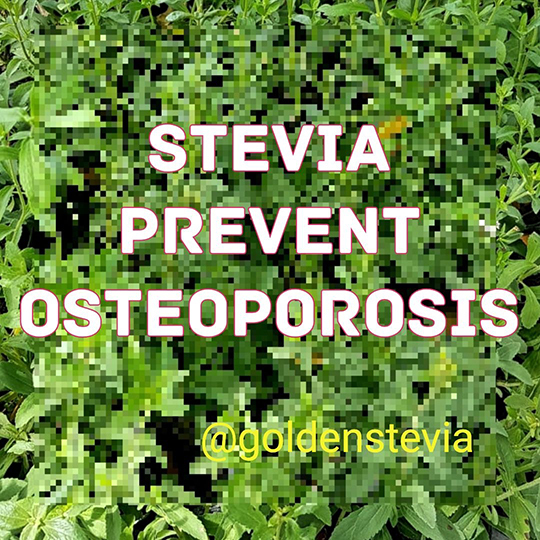 Stevia Prevents Osteoporosis. Stevia, unlike sugar, aids in increasing bone mineral density and treat osteoporosis. A study on animals shows its importance in increased calcium metabolism. 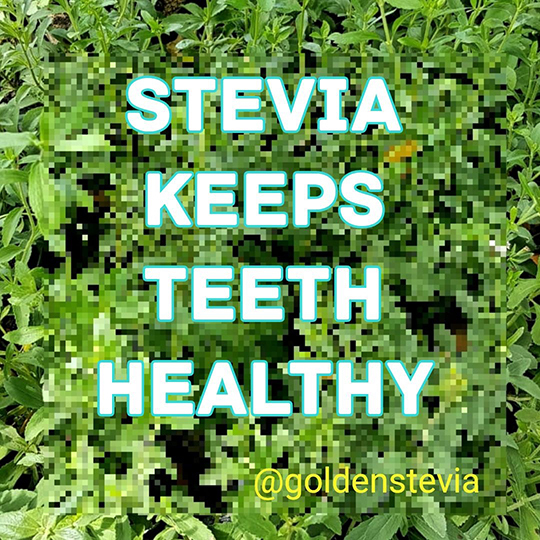 Stevia Prevents Bacterial Plaque. When you consume sugar, a layer of bacteria that adheres to your teeth, causing the appearance of dental plaque and tooth decay in the long term. Chewing gums and toothpastes contain ingredients called “sugar alcohols” or “polyols”, such as erythritol, sorbitol and maltitol, which prevent the adhesion of dental bacteria to your teeth: bacteria can not ferment these components. But sugar alcohols can be harmful to health. They contain many calories and some of them have a high GI not recommended for diabetics. In addition, they cause swelling and gas in individuals prone to it. Stevia has the same positive effects as polyols but without any side effects. In addition, Its power to dissolve dioxin, nicotine and histamine make it a powerful antiallergic that,helps to strengthen the immune system and defenses, improves resis- tance to colds and colds and is healing and bactericidal in ap- plications against burns, wounds. Want more? 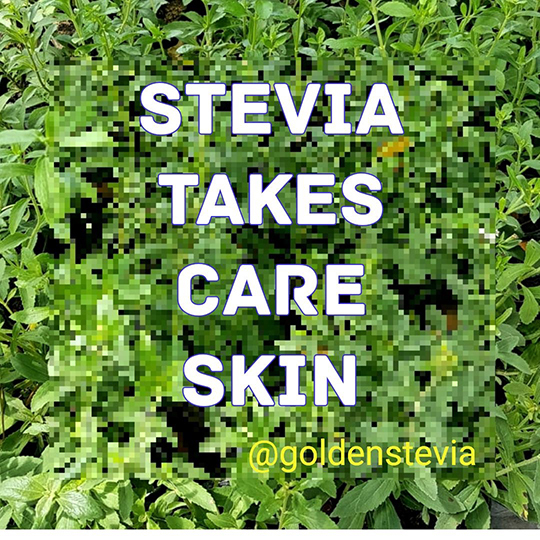 Regulatory health agencies around the world have approved high purity stevia leaf extract for safe use. This includes special populations such as pregnant and nursing women, children and people with allergies or diabetes. Foods and beverages containing stevia, can play an important role in decreasing calories from unwanted sweeteners in children’s diets. There are now thousands of products containing naturally-sourced stevia on the market, ranging from salad dressing to snack bars, which allow children to consume foods and beverages that taste sweet without added calories. Along with all the health benefits mentioned above stevia is also known to possess anti-diarrheal, anti-hyperglycemic, antihypertensive, diuretic, anti-inflammatory, anti-diarrheal, and immune-modulatory actions. 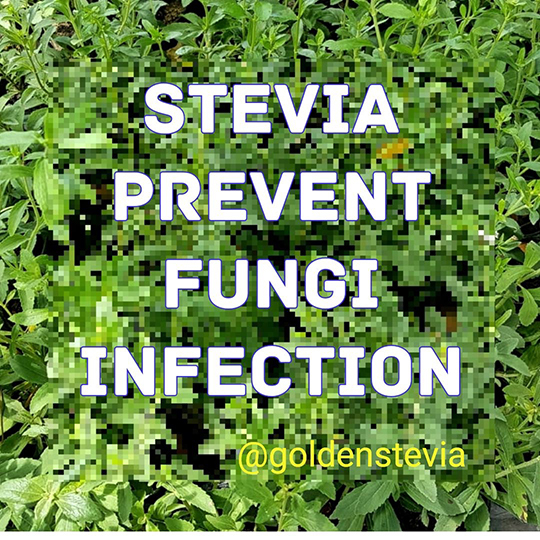 This medicinal plant also provides vitamins A and C, and minerals such as iron, phosphorus, calcium, potassium, and zinc..
For these are reasons, it is totally safe to replace sugar with stevia in people with this problem. However, always consult a doctor before modifying your diet and be careful when using 100% pure stevia alone. These points are top properties of stevia if you’re looking to change the sugar for this natural sweetener, you have to keep in mind that the taste of stevia can be a bit bitter. 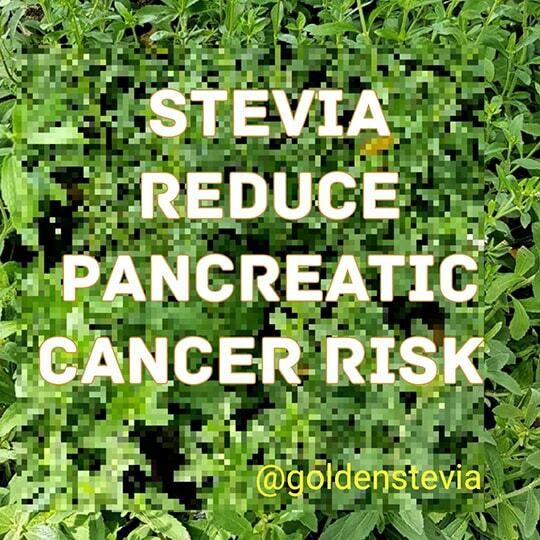 Avoid products that contain additional products what makes stevia bitterness. Give stevia a chance and try it out! The first thing that should be explained when talking about the side effects of stevia, is that, for the most part, these are problems that might only occur when the use is excessive. The contraindications of stevia sweetener are not entirely clear and ambiguous because they are surrounded by controversy. Large companies of artificial sweeteners fighting against the growing fame of this plant, and both make reference to the toxicological nature of the plant. 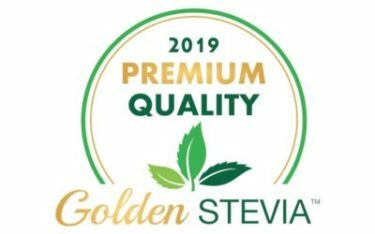 Since Stevia is now really popular around the world, it is crucial to note the quality of stevia that you use or decide to purchase, since there’s already a large variety in the market. People with pre-existing allergies to chrysanthemums, marigolds, ambrosia or daisies are at greater risk of a reaction to stevia. In some cases, stevia can cause a severe allergic reaction called anaphylaxis, but this occurs relatively rarely. 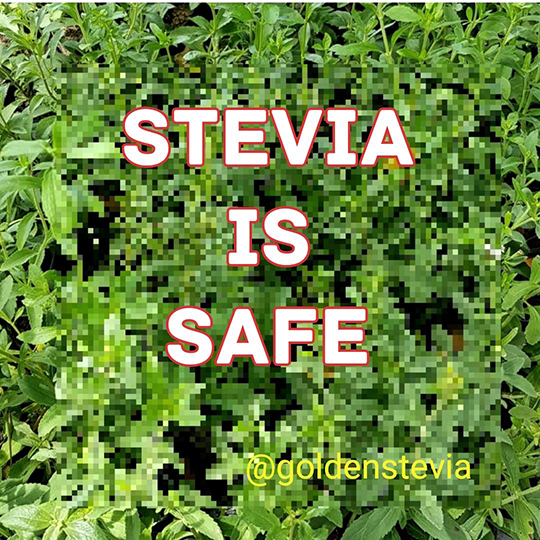 Finally, at ease to Stevia users, there has been never a study that has shown a carcinogenic or mutagenic effect due to concentrations of sweetener application. NB! Stevia typically come in convenient packets that make it easy to take with you and add to your favourite beverages while on the run. They also come in baking blends so you can easily use them 1:1 for baking. Don’t buy these, for several reasons. Most of them have fillers that are not what I want in my body (natural flavors, ). NB! Read all labels and avoid additives. Many packaged stevia products contain additional additives–such as sucrose or aspartame–to mask this. These additives are often artificial, and (unlike pure stevia) can have negative effect on your blood sugar. Be sure to read all labels on your stevia products, and seek out products that contain pure refined stevia. Stevia strengths really vary from brand to brand and 1:1 have too much fillers.